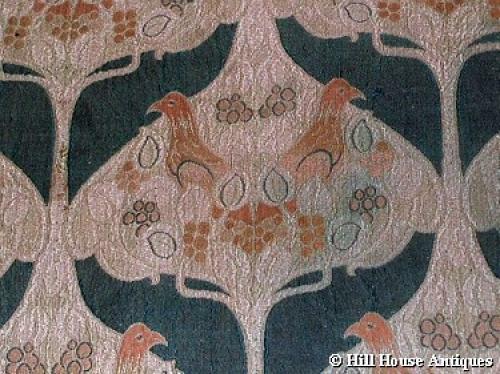 Arts & Crafts woollen panel of fabric, design strongly attributed to CFA Voysey for Alexander Morton. Typical Voysey style twin bird pattern. c1900. Approx 48" by 37" overall. Similar comparable designs illustrated in the Studio magazines of the period.